County Court Judgements | What Is A CCJ And How Will It Affect Me? This section tells you everything you need to know about County Court Judgements (CCJ's). It explains the process of someone obtaining a CCJ. A CCJ is a judgement that a county court issues when someone has failed to pay money that they owe. CCJs are a simple way for creditors to claim the money they're entitled to. When you owe money to someone, they can apply to the County Court for a judgment (CCJ) against you to claim the money. The Court will decide whether there really is a debt to pay. If there is, they will issue a CCJ. This will set out how the debt should be repaid. When someone takes a County Court action against you, you'll be sent a CCJ Claim Form. This court form will explain how much the creditor says you owe them. You're also sent an Admission Form. Don't ignore this form - send it back within 14 days. If you're late, the CCJ may be issued anyway in a default judgement. This form is your chance to put your side of the story before the CCJ is decided on. Pay in full- You can choose to pay the amount in full straight away (plus any interest and court fees shown). If you do, you don't need to send the forms back. There won't be a court hearing and you won't have a CCJ recorded against you. Ask to pay later or in instalments- If you want to offer to do this, fill out the form saying how you'd like to pay. A CCJ will be issued. 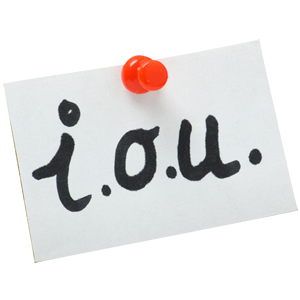 Dispute the amount owed- If you think you owe less than is claimed, send the forms back explaining why. You should pay what you think you owe straight away or ask for time to pay. The Court will decide who is right- you or the creditor. If it's the creditor, they'll issue a CCJ against you. Dispute the claim- If you don't think you owe anything, return the Defence Form to the court, setting out your side of the argument. You can ask for more time if you fill out the 'Acknowledgement of Service' form. Claim against the creditor- You might think you're owed money instead (if a builder sues you for non-payment, say, but you think he owes you money for breaching the contract). You'll need to fill out the counterclaim form (there may be a fee to do this - ask the Court). Whatever you do, don't ignore the claim or miss the deadline. If you do, the claimant can request a default judgment. You won't get to put your case (or explain your financial circumstances), and the CCJ may order you to pay the money in full at once. The hearing is simple and held in private. You don't have to attend unless you're disputing the claim - the court will consider the evidence in your admission form. If the court decides you owe the money, it will issue a CCJ. This is a court order saying you must repay the debt, and setting out how (e.g. regular monthly payments). The court will set your repayments based on information you provide about your income and spending. If you don't pay, the creditor can return to court to enforce its judgment - this will incur more costs and could even extend to bailiffs visiting you. If you genuinely can't pay a CCJ, you can ask the court to change the amount of your payments, or even suspend them. The Register of Judgments, Orders and Fines records CCJs for 6 years. Banks and other lenders can do a CCJ check against the CCJ register when deciding whether to offer credit. Getting a mortgage with a CCJ or a loan with a CCJ is difficult. Even if you get credit, you may end up paying a higher interest rate. If you have a CCJ and are being threatened with enforcement action, or you have received notice of a CCJ application then you need to get professional advice as soon as possible. Our panel of specialists can quickly advise you on what to do if you have received a claim form or have been issued with a CCJ. Call the team FREE on 0800 36 88 133. Alternatively take the online debt test and find your best solution.